The key to our patient success and what sets us apart at Georgia Clinic of Chiropractic are the customized treatments that we provide for every single patient. Taking that extra step for personalized care has always been our standard. We invite you to personally experience care that has been researched and tailored specifically for you. "By far the BEST care in all Augusta!!!" 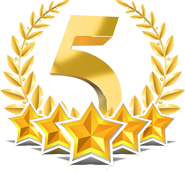 "I have been seeing Chiropractors for over 10 years and have NEVER had the level of care like I have experienced here!!! From the front desk to Dr. Huntsman himself, I am always remembered by name, greeted with a smile, and given the best treatment. I have referred Dr. Huntsman to several of my friends, neighbors, and family. Coming to this office is a pleasure and I will NEVER go to another practice. By far the BEST care in all Augusta!!!" "Dr. Huntsman outweighs them all." "Dr. Huntsman is truly a one-of-a-kind chiropractor. Over the past 35 years, I have received treatment from a number of chiropractors varying in technique, approach, understanding, knowledge, and patience. By far, Dr. Huntsman outweighs them all. The professionalism of Dr. Huntsman and his staff stands above reproach. My entire family has been treated by and continues to be treated by Dr. Huntsman with each of us making great strides in improvement for overall health as well as improvement for headaches, fibromyalgia, scoliosis, muscle strains and pulls, just to name a few. We more than appreciate the entire staff at Georgia Clinic of Chiropractor and highly recommend this clinic to all seeking not only chiropractic care, but to those seeking overall good health in their every day lives." "Dr. Huntsman is by far the best chiropractor I have received care from." "Dr. Huntsman is by far the best chiropractor I have received care from. Dr. Huntsman's thoroughness is one characteristic that sets him apart from other chiropractors. Some chiropractors spend only 5-8 minutes with their patients. Dr. Huntsman spends as much time as needed with his patients to ensure proper care. I am a very active person and injuries sometimes pop up. From sprained ankles, low back pain, hamstring issues to sciatica, Dr. Huntsman has provided me with excellent care to guide me through these injuries. Also, the staff at Georgia Clinic of Chiropractic is extremely considerate and friendly. Overall, my visits at Georgia Clinic of Chiropractic have been great and I highly recommend Dr. Huntsman." "He is absolutely the best chiropractor I have ever been to." "I have suffered from debilitating migraines for 40 years. I've been to many doctors and tried many different prescription and over the counter medications over the years. Nothing helped until I started going to Georgia Clinic Of Chiropractic. Dr. Huntsman knows exactly where to work on me and what to do. Everytime I walk out of there I feel so much better. He knows exactly which muscles need to be worked on and the best techniques to use. He is absolutely the best chiropractor I have ever been to. I don't have to take any medicine at all when I go to him! He and his staff are so awesome, they make you feel like family, I just love them!! I really don't know what I would do without them, I would still be in miserable pain but because of them I am able to live a better life. I can't thank you guys enough!!"